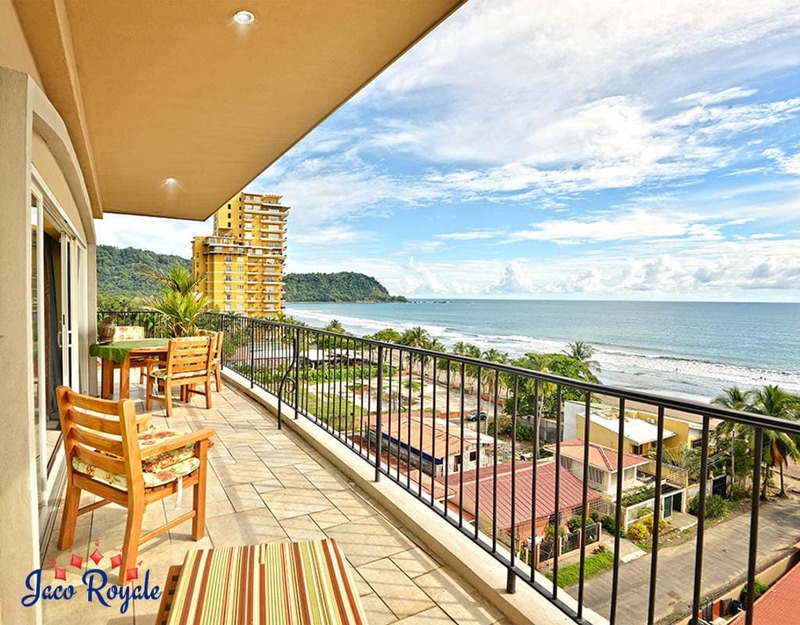 This VIP penthouse is the height of luxury in Costa Rica. 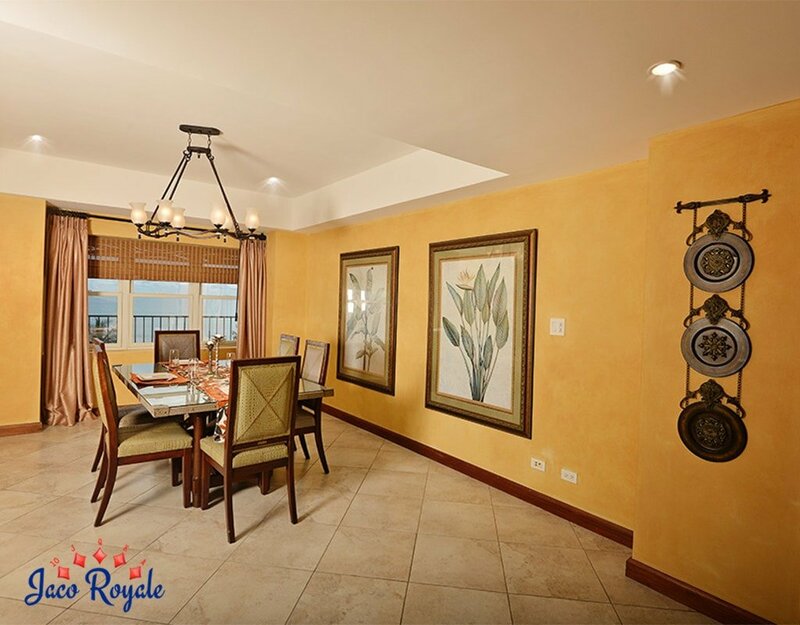 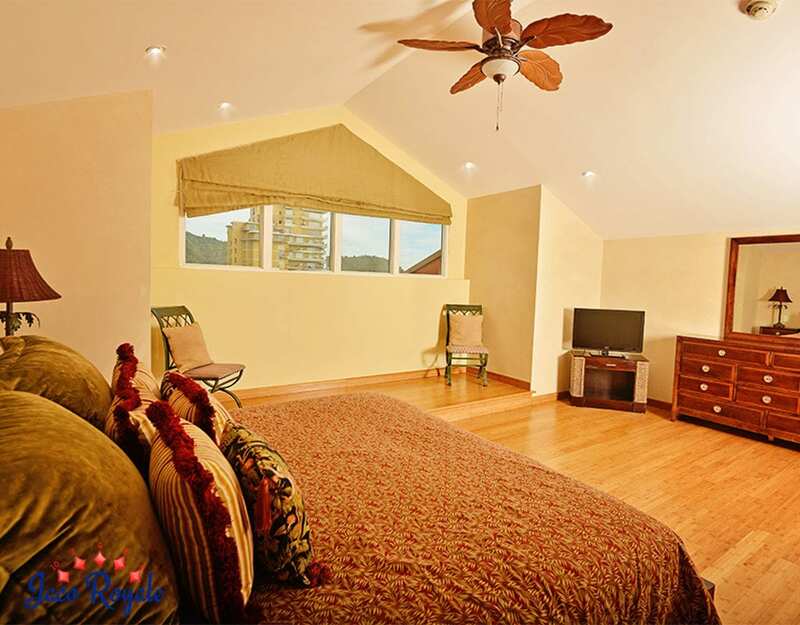 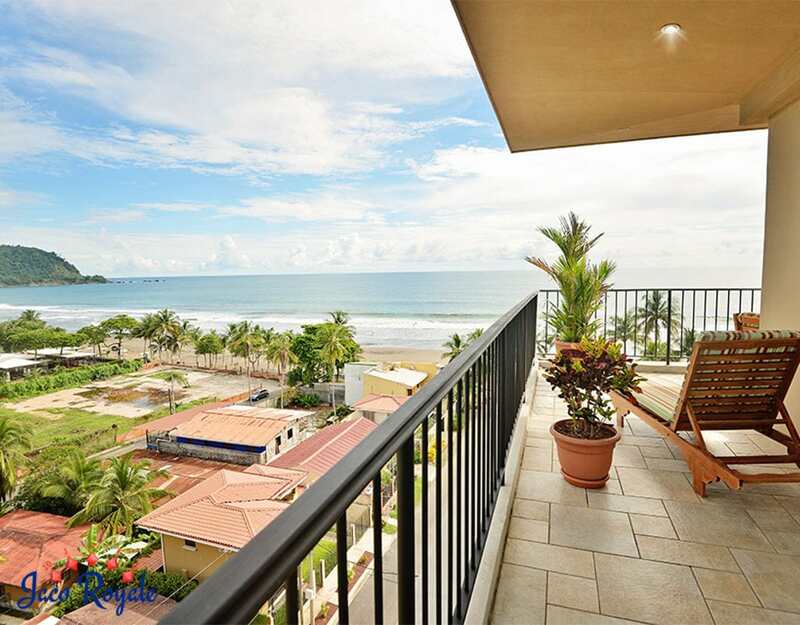 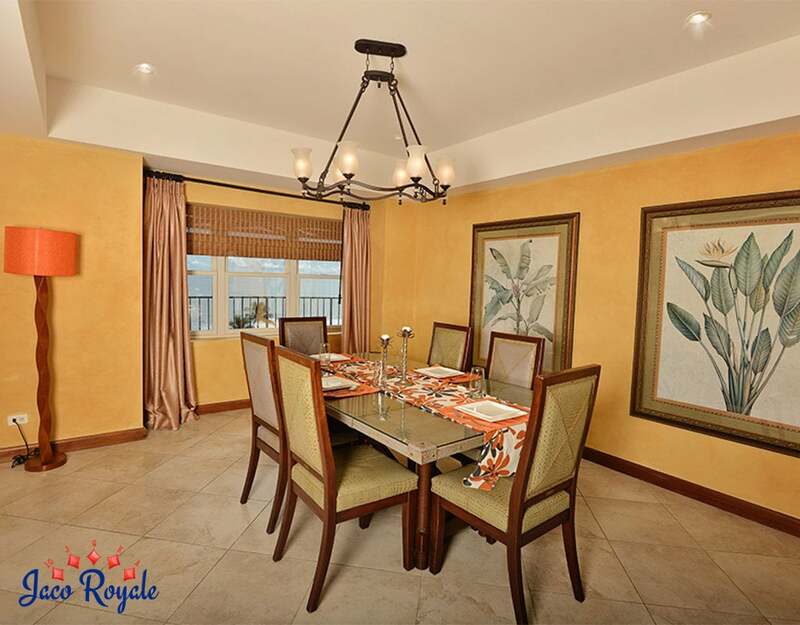 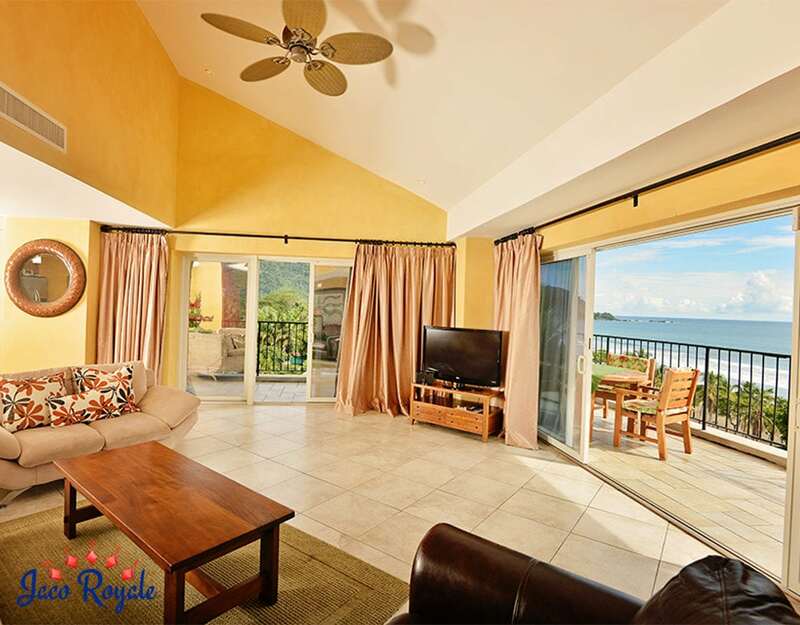 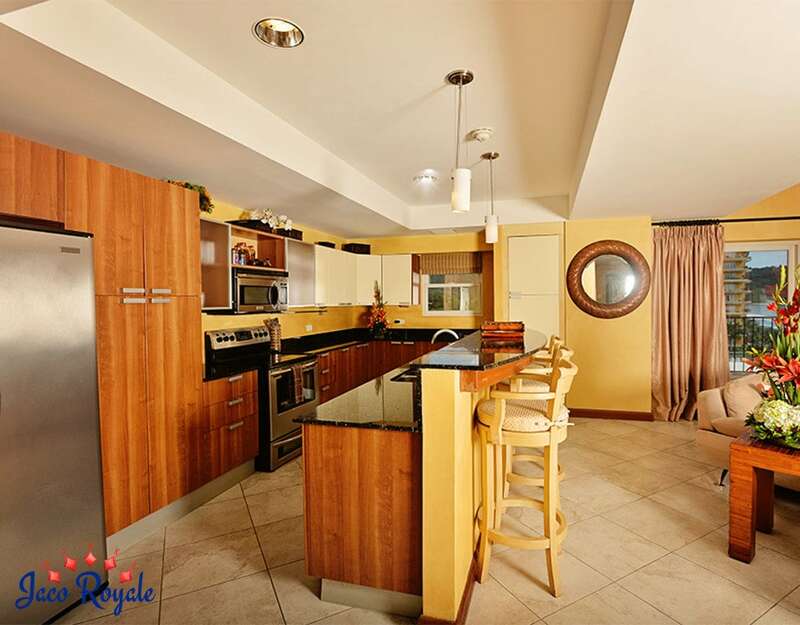 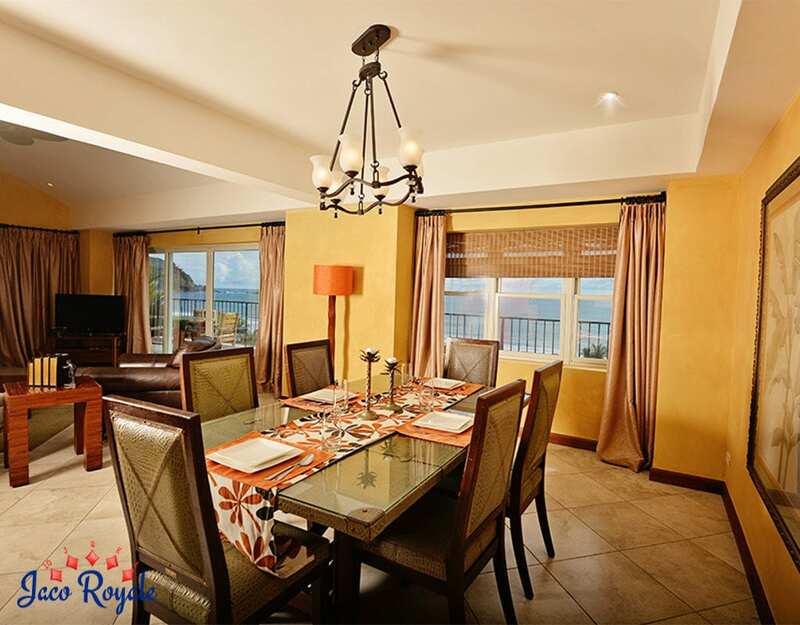 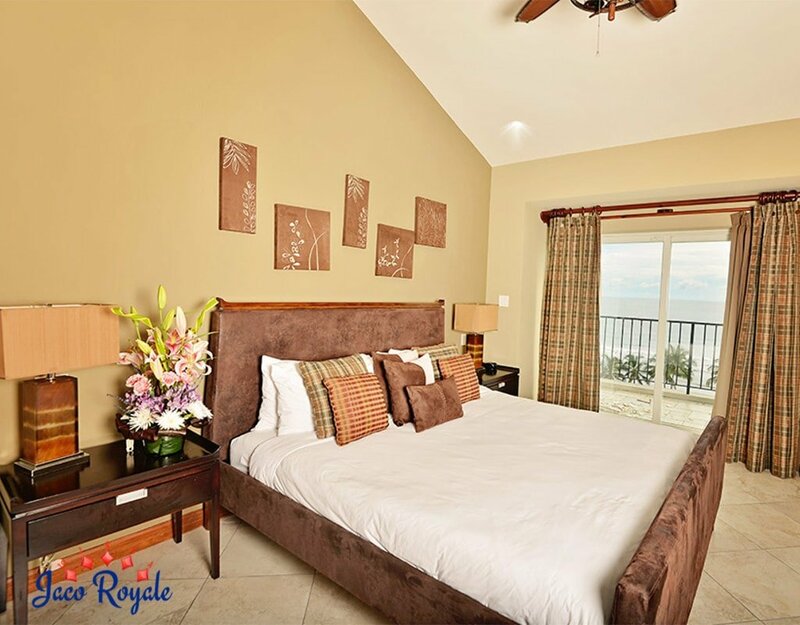 Located on the 7th and 8th floors, the 5-bedroom condo gives you a commanding view of the beach, the surrounding mountains, and the neighboring Jaco town. 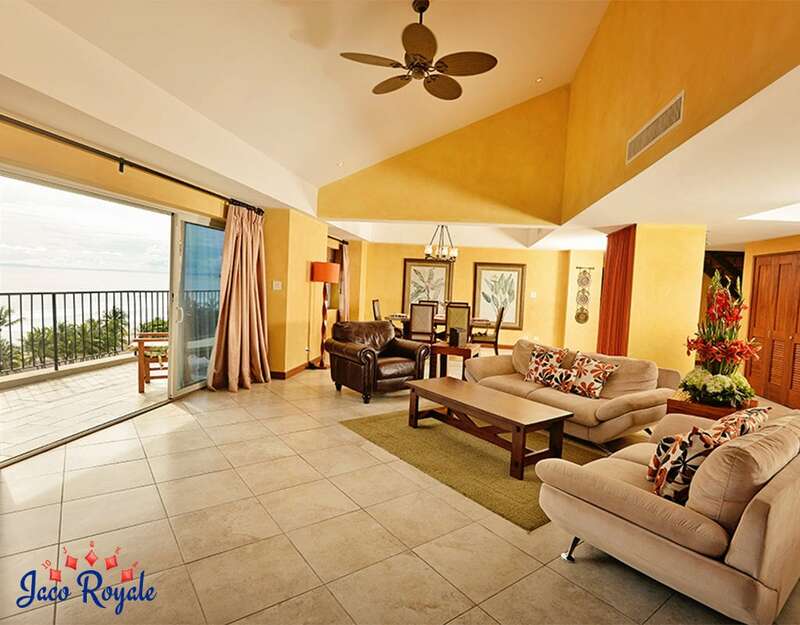 The spacious living room doubles up as a recreation room with a plasma TV and plush sofas. 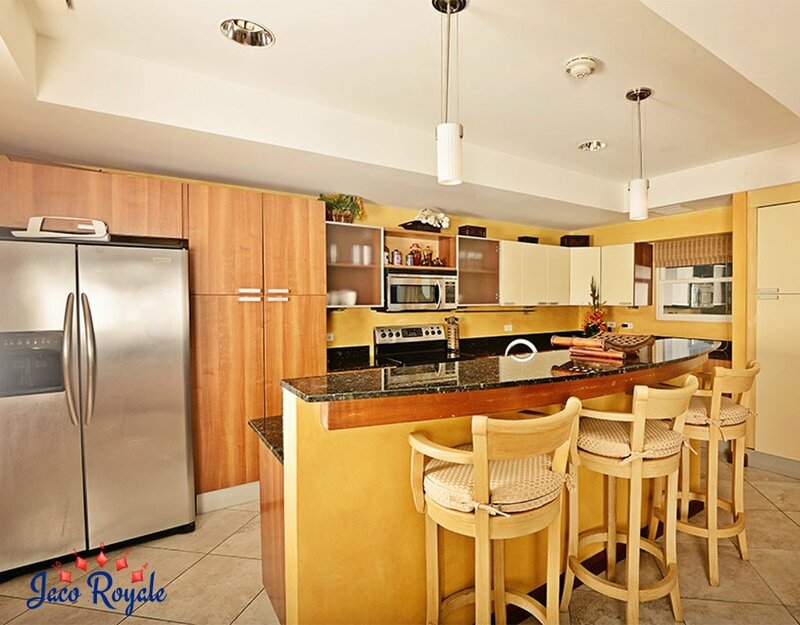 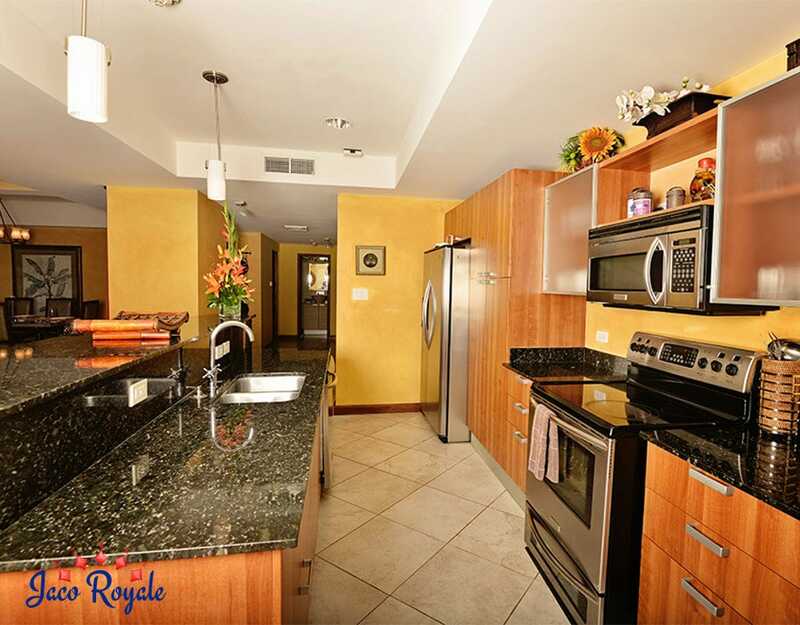 The large kitchen has ample space for a private chef to get working on your menu and a lavish bar area for a bartender to mix your cocktails. 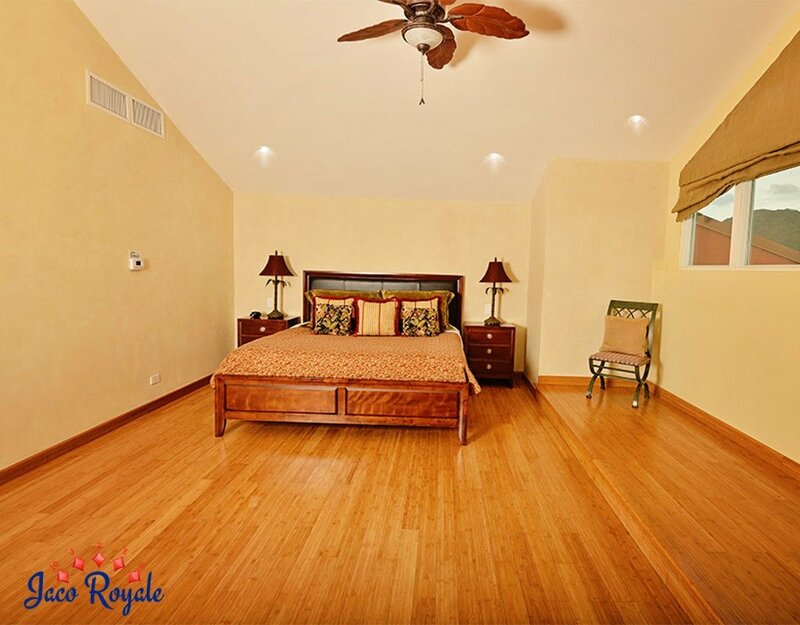 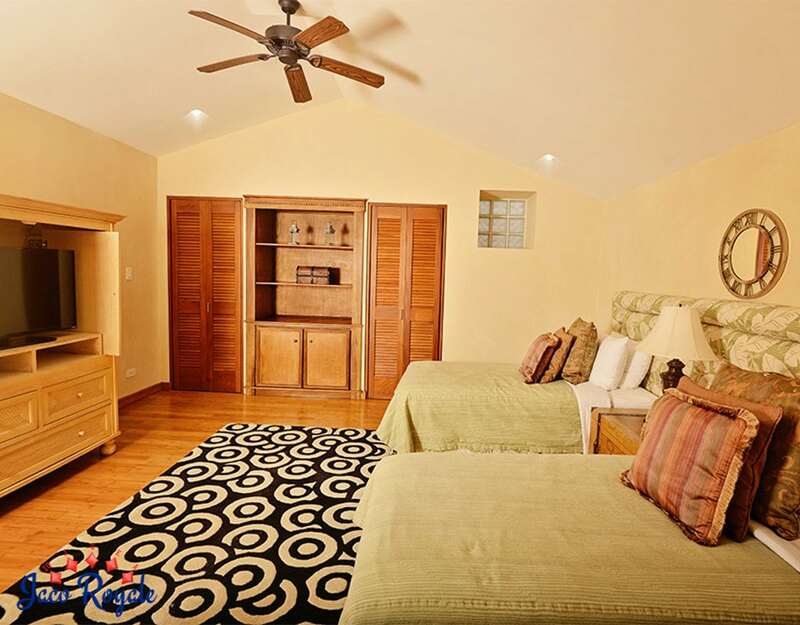 The master bedroom has a master bathroom and a king-size bed. 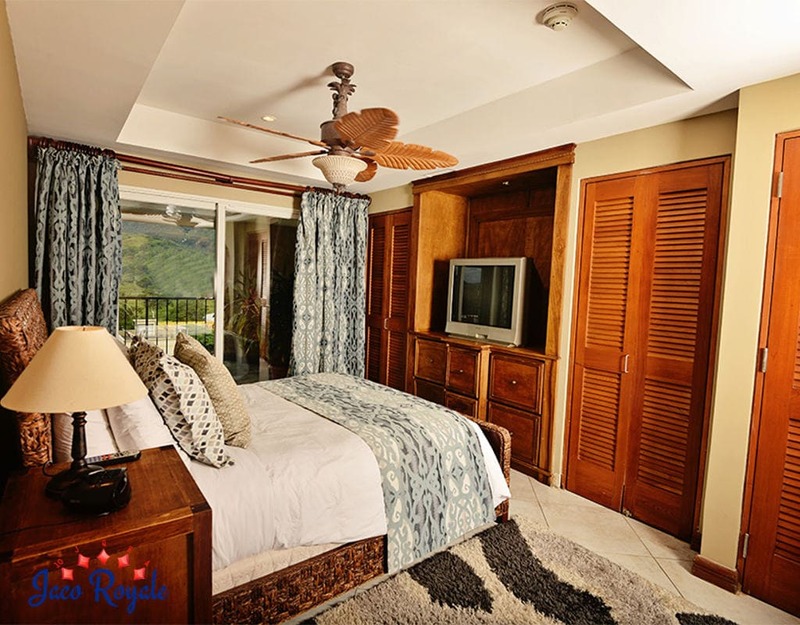 Two bedrooms come with king-size beds and the remaining with queen-size beds, all with their own private bathrooms and TV.